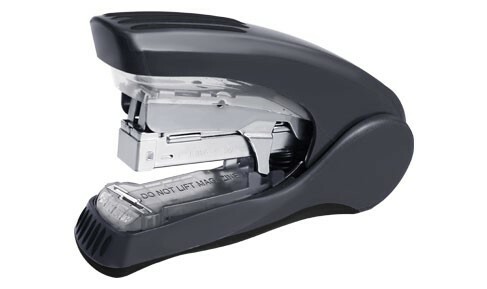 Less effort flat clinch stapler with unique by-pass feature that facilitates in stapling 2-40 sheet with same staple. Soft grip with anti-skid base. Reload indicator and built in staple storage compartment.